Good morning all and hello to this months Scrap Kit! What better theme to go with in February than Valentines! 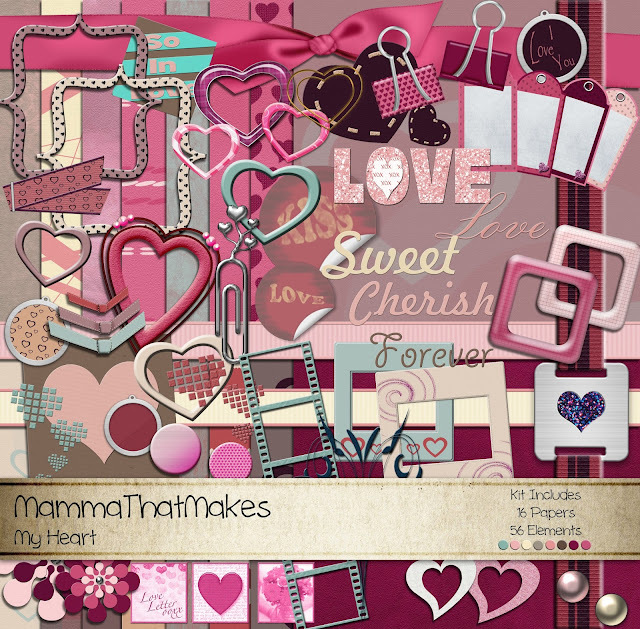 This kit is all pinks and hearts and all things sweet! Miss L even joined in and helped make a few elements for this one (I'm teaching her how to use Photoshop) and so the cardstock words are courtesy of her. How sweet! Today's pattern is one I've had sitting in my drafts book since forever! I keep coming back and forth to it, and finally got it finished! YAY! I love mini stockings. Felted, sewn, crocheted, they are all good! I'm hoping to get a bunch more of these done before December, not just for decorating, but because they are such a fun way to package smaller gifts! Now, Ive done 2 versions here, both from the same pattern. I'll take you through the solid sized one first, then tell you about the alterations for the mini one at the end. 1. Ch3, dc in the 1st chain 10 times, join. 3-6: Ch2, hdc in each stitch around, join. 5: Ch1, sc in the first 5 stitches, (hdc, dc) in the next stitch, 2dc in each of the next 8 stitches, (dc, hdc) in the next stitch, sc in the last 5 stitches, join. 6-7: Ch1, sc in the first 7 stitches, dc in the next 16 stitches, sc in the last 7 stitches. 9: Ch1, sc in each stitch around, join. 22: Place a stitch market in the centre back stitch. This round can be either normal sc, or reverse sc (crab stitch) the choice is yours. For normal sc, ch1, sc in each stitch until you reach the marker, sc in the stitch with the marker, chain 15, sc into the same stitch with the marker, sc in each remaining stitch and join to the first sc. To finish with the crab stitch, ch1, sc in each previous stitch (working in reverse) until you reach the marker, sc into the stitch with the marker, ch15, sc into the same stitch, continue crab stitching around. End off and weave in tails. Add any decorations you wish. 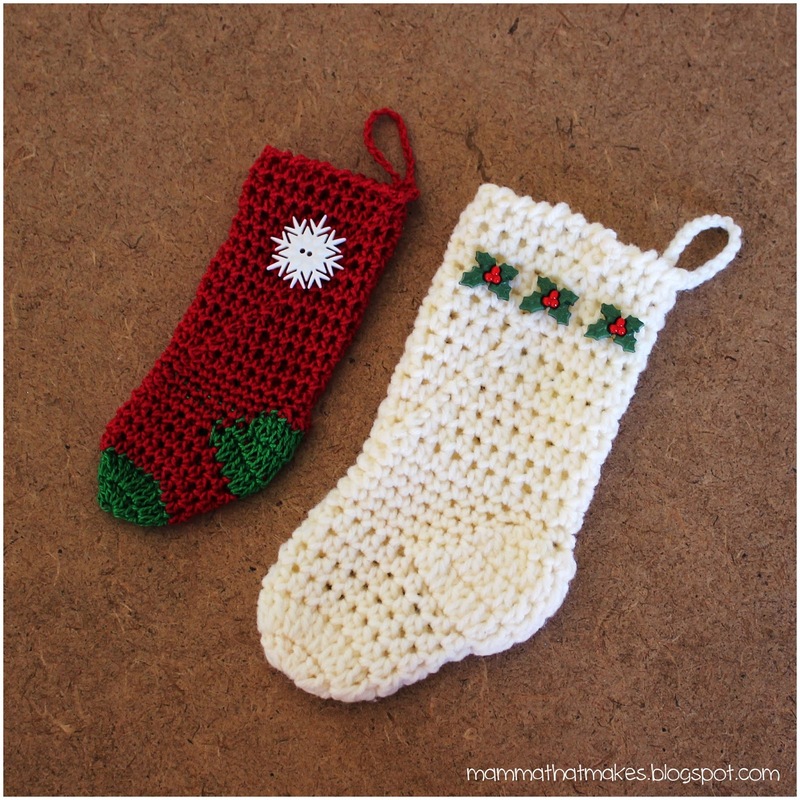 Now, to make the super small multi coloured stocking, I used size 8 cotton pearl thread and a 2mm hook. Use the contrasting colour for the first 2 rounds, then switch to the main colour for rounds 3-6. When you reach the heel section, use the contrasting colour for the hdc/dc's in round 5, and the dc's in round 6-7. You can choose to end the colour each round or just carry it with you crocheting over the excess thread as you go. Swap back to the main colour for the 8th and all remaining rounds. Again, weave in ends and decorate as desired. 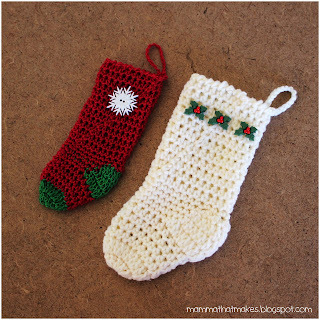 This mini sized stocking would be perfect for lip glosses or nail polish bottles! 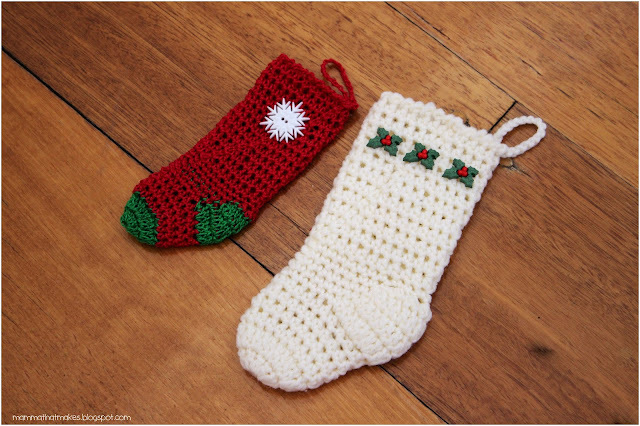 The larger one would be fantastic for chocolate/candy bars, small gifts and cosmetics! I'm so excited about today's pattern! I have to say, I am having an absolute BLAST working on some larger items! 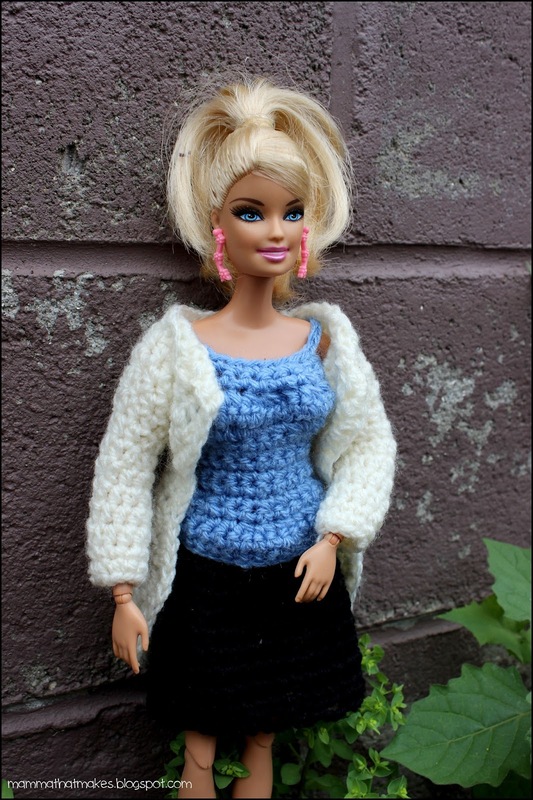 It's a huge contrast to the teeny little clothing items I usually make. 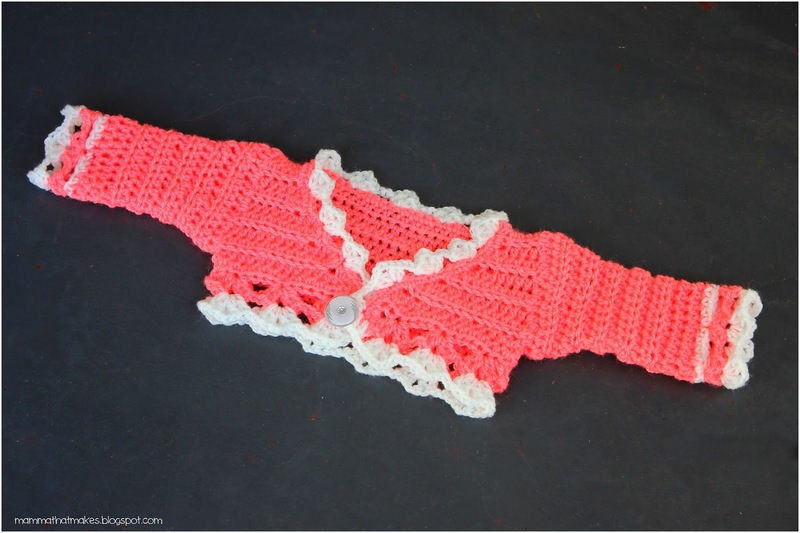 Today I'd like to share with you all the pattern for a simple but pretty bolero. I just love these little shrugs, so sweet and dainty and perfect for when the temperature cools off that little bit in the evenings, or when the wind picks up. They look especially sweet over dresses. I loved putting these on my girls when they were smaller. 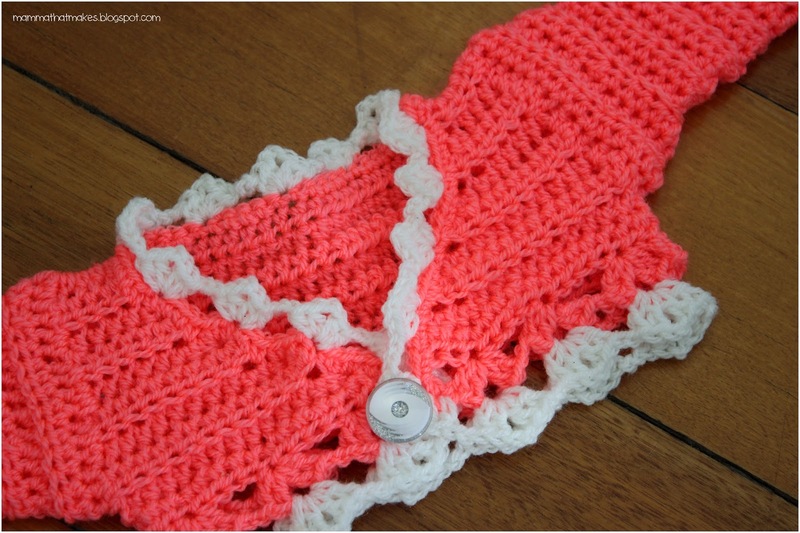 This one, made as instructed, will fit a baby of 0-3 months, and you should have no problems whipping it up in an afternoon. Oh I love a quick project, don't you? 11: Ch3, turn, skip the first 2 stitches, *(2dc, ch2, 2dc) in the next stitch, ch2, skip the next 4 stitches*, repeat across until you have 2 stitches left, skip the next stitch and dc in the last stitch. End off. 11: Ch3, turn, skip the first 2 stitches, (2dc, ch2, 2dc) in the next stitch, ch2, skip[ the next 4 stitches, (2dc, ch2, 2dc) in the next stitch, skip 4, ch2, (2dc, ch2, 2dc) in the next stitch, skip 1 stitch and dc in the last stitch. End off. 11. Ch3, turn, skip the first 2 stitches, (2dc, ch2, 2dc) in the next stitch, ch2, skip the next 4 stitches, (2dc, ch2, 2dc) in the next stitch, ch2, skip the next 4 stitches, (2dc, ch2, 2dc) in the next stitch, dc in the last stitch. End off, leaving a long tail. Stitch the side seams together from rows 9 to 11 on both sides. Sleeves are continual but turned rounds, so that our blo texture is the same as the body of the bolero up until round 12, where we stop turning. 1: Join yarn to the rear of the armhole, and ch2, hdc evenly for 30 stitches around, join to the first hdc. 15: Ch3, skip the first 2 stitches, (hdc, ch2, hdc) in the next stitch, *ch2, skip the next 4 stitches, (2hdc, ch2, 2hdc) in the next stitch*, repeat 3 times, join to the second chain in the starting ch3. 16: Ch3, (2hdc, ch2, 2hdc) in the next ch2 space, ch2, *skip the next ch2 space, (2hdc, ch2, 2hdc) in the next ch2 space, ch2*, repeat twice, join to the second chain in the starting ch3. Repeat all sleeve instructions for the second sleeve. With main colour, join the yarn to the left hand corner of the bolero and ch1, sc evenly around the front opening and neckline for 70 stitches, until you reach the other corner. End off. Join your yarn to the same left hand corner, ch3, skip the first 2 stitches, (hdc, ch2, hdc) in the next stitch, *ch2, skip the next 4 stitches, (hdc, ch2, hdc) in the next stitch*, repeat 12 more times, which will bring you to the next corner, hdc in the corner stitch and ch2, (2dc, ch2, 2dc) in the next ch2 space, *ch2, skip the next ch2 space, (2dc, ch2, 2dc) in the next ch2 space*, repeat across, when you reach the end, ch2 and join to the 2nd chain in the starting ch3. Position and attach button to the desired area. 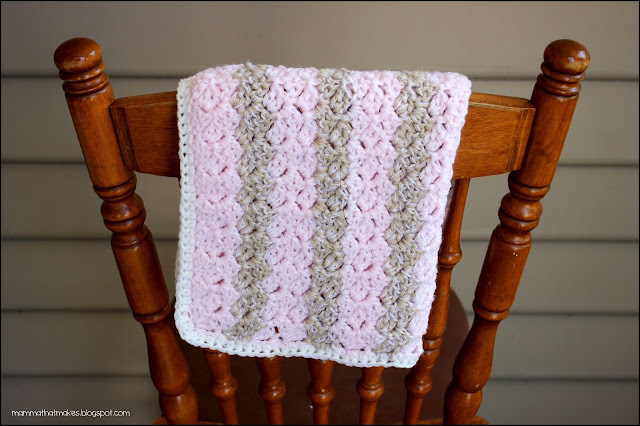 This morning I want to share with you a very super simple project! Wooden countings disks! Master J loves learning with his hands. 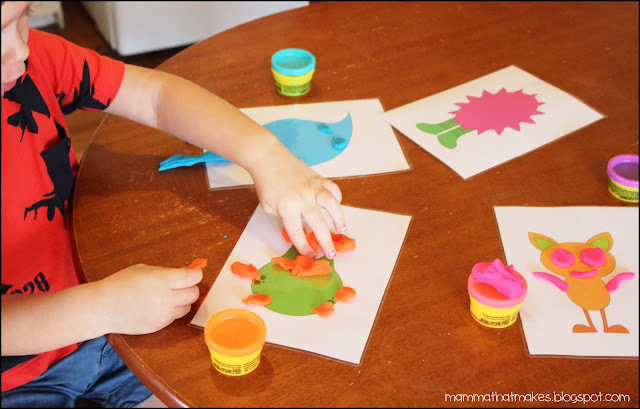 He enjoys textures, and being able to get hands on learning is something he really thrives with. 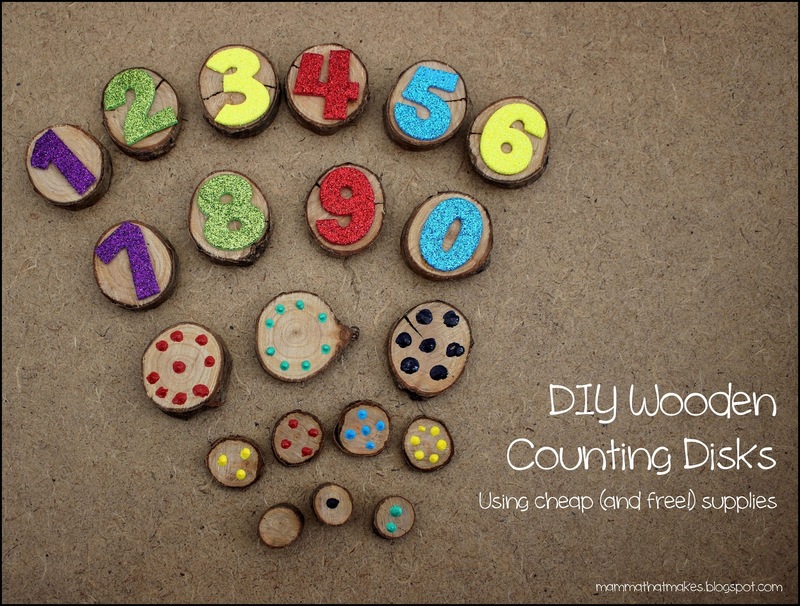 Lately we've been focusing more on numbers, and in particular counting to 10. I was going to print out some flash cards for him, and was hunting in the craft cupboards for the laminate sheets when I knocked over a basket of supplies. Inside was these wooden disks that I'd asked a friend to slice from an old tree branch years ago for buttons, and never got around to finishing. The idea hit me, that I could turn them into counters instead of printing something and here we are! The best thing about this project is you can make as many or as few as you like, in whatever size you want! Plus, it's all made from dollar store items, and FREE items! This entire set cost me a grand total of $2. Now that's what I call cheap play! You will need some wooden disks. Mine are sliced from a tree branch when we trimmed the trees back a few years earlier, but you could always use some driftwood from the beach, or go for a walk in the park and find a branch that has come out of a tree already. Keep in mind though that the thickness of the branch will play a part in the size of the numbers you can use. Cut your disks about a cm thick using a saw (or if you don't have one, ask a friend!) They don't even need to be the same thickness, some of mine are not. I figure we can talk about the thickness too and discuss which ones are higher and lower. Next you'll need number stickers, and some paint. The paint I already had, and actually, it's puff paint that I use for my felt pieces, but any paint will work fine. The number stickers I had to go buy. We have a local store called Shiploads, which is a discount/bargain store, and I knew they had a huge range of cheap stickers, so that's where I went. Boy was I right, soooo many stickers! They also had a selection of rub on scrapbook transfers that I wouldn't mind trying later on, but for now I opted for foam glitter stickers. Mainly because I liked the added texture they would give the disks, plus the size looked pretty close to what I wanted. They cost me $2 for a big pack, and I have some to spare! The rest, is super simple! The foam numbers had sticky backs, but I also added some 450 clear glue to them just to make sure they didn't come off, and positioned them into place on the wooden disks. Then, I used a toothpick and dotted on some coloured dots for the matching disks. The puff paint also added another layer of texture. And that, is it! Let it all dry overnight and you'll be done! Master J loves touching these. He tells me how the back of the disk is smooth, how the numbers are rough and the spots are bumpy. Best of all, we're starting to get more familiar with numbers, which is fantastic! Maybe once he's a little older and we start looking at adding and subtracting, I'll make a few more and some symbols to extend the set further. 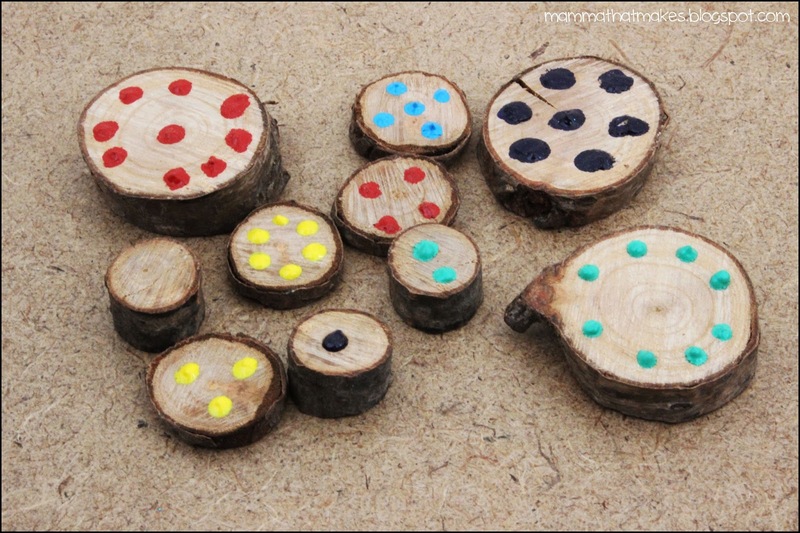 This idea would also work fantastic with shapes and learning pattern sequences! 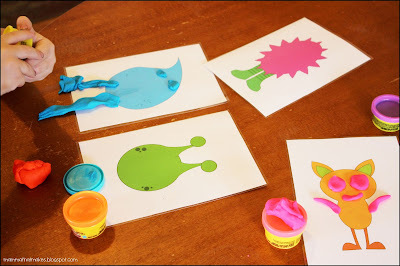 I hope you enjoyed this post, let me know how your little one goes with their disks if you make some too! Woohoo, first blanket pattern of 2018! Today's blanket is actually really simple. It's based off of the Rose gown from the start of the month and is super easy to adjust. The stitch repeat is so easy that after a few rows, you likely won't even need to look at the pattern anymore! I've used 2 strands of yarn for this blanket. The results are a super soft squishy blanket, without too much bulk. I'm making mine to suit CCP's blanket sizing chart, and making it large enough for a 28 week preemie. It's about 46cm square. But you can make it larger or smaller very easily. The stitch is a multiple of 3 repeat, with a +1 chain on the starting chain for turning. Simples! To make one like mine, follow the directions below! 1 ball of 2ply/Lace Weight yarn in a white or cream, or another colour that compliments the other 2 balls you picked. This blanket is stitched holding 2 strands of yarn together throughout. It creates a squishy texture, and softens the colours. NOTE: I won't make a note of the colour changes in the pattern, otherwise it's going to be a page long, with the same instructions each line and "Change colour" before it. I went with stripes, and did 3 rows of pink, 2 of brown, repeated for the entire blanket, and ending on 3 rows of pink. 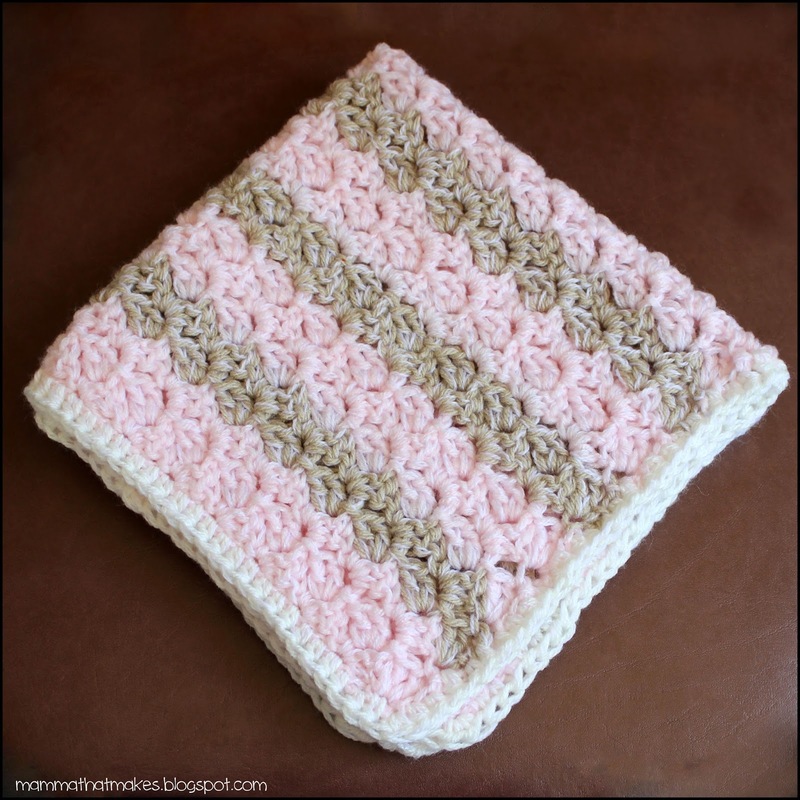 You could do a solid blanket, alternate the stripes each row, every second row or even just do a stripe for the second and 33rd row! Or, a different colopur for EVERY row! Have fun with it! 2: In the first stitch (slst, ch3, 2dc), shell made *skip 2 stitches, (slst, ch3, 2dc) in the next stitch*, repeat across, sc in the last stitch. 3: Ch1, turn, (slst, ch3, 2dc) in the first sc, *in the ch3 space of the next shell (slst, ch3, 2dc)*, repeat across, when you reach the last shell, sc in the ch3 space. 4-33: Repeat row 3, changing colours as indicated in the note above. 34: Ch1, turn, dc into the first sc, hdc into the next 2 stitches, *Skip the ch3, dc into the slst, hdc in the next 2 stitches*, repeat across for a total of 51 stitches, slst into the top of the last ch3 and end off. Weave in all tails. 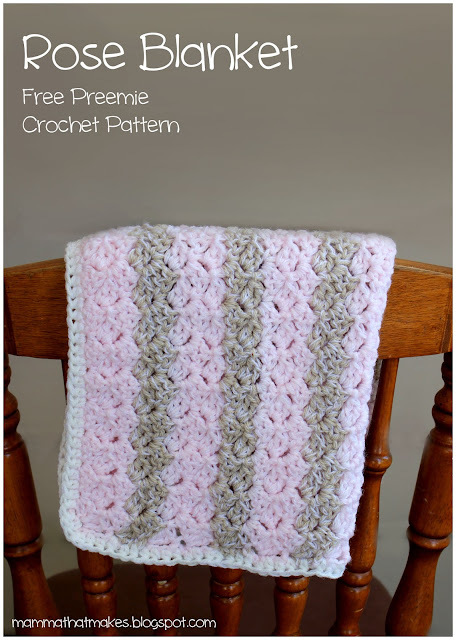 Using your edging colour, held doubled with your 2ply yarn, join to any stitch on the top of the blanket, and ch2. hdc along the top of the blanket, then hdc evenly down the side, working in the edges, hdc along the starting chain, back up the other side and then across what remains of the top, joining to the ch2. In all corners, make 2-3 hdc's to make the corners sit flat and even (the number will depend on your tension, I did 2) End off and weave in tails. I finished here, but if you wanted a larger edge, you could just do a few more rounds of hdc. You can block this one if you like, but I find after the round of hdc it tends to sit pretty well. It's play-dough day! Yup, a new set of printable, laminatable, play-dough mats! These ones are smaller than the Gumball Machine Set from last month, being a half an A4 page each. Much more manageable for small hands. Master J has been loving this set. He puts faces, limbs and hair on the monsters, telling me each one as he goes. He'll spend a good 30 minutes playing with these before looking for something else to add to the game, and so that's pretty good in my book! 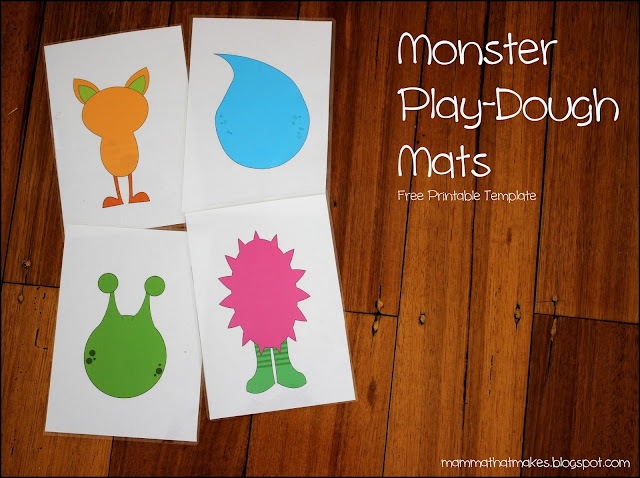 If you havn't tried them already, play-dough mats are really simple to make! Simply print, cut and laminate! Being laminated means they can be used again and again, making them budget friendly. I can't wait to get some more of these done! Oodles of fun. I've even caught my teens playing along side Master J with them. Something about play-dough, just brings out the kid in everyone! Grab the downloadable files here! 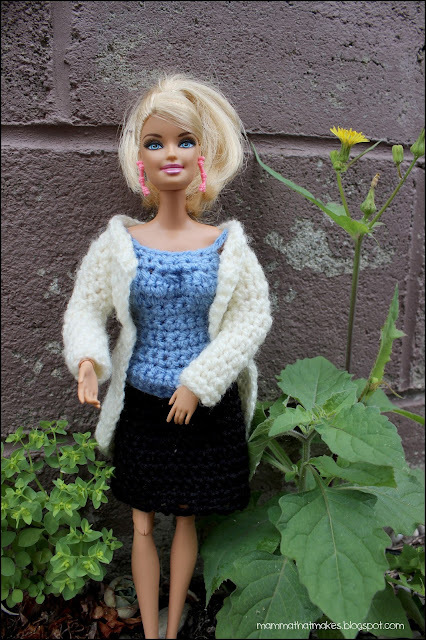 Today I'm sharing the pattern for Laura Lab's work outfit. Laura is a scientist! She has a lab coat, a top and a skirt. SO I guess technically you get 3 patterns! Miss M picked out Laura's name, and profession, and I went to work making her some clothes to suit. 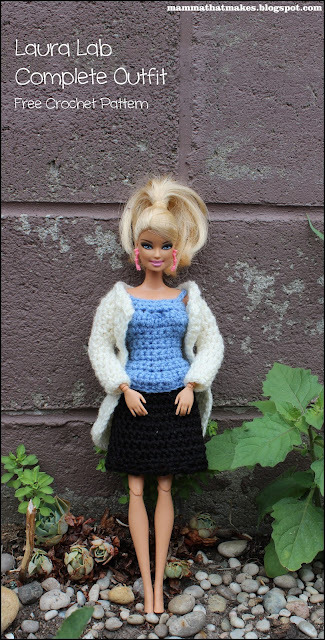 This doll will get a few more outfits and will eventually be gifted to a child in the community. The yarn weight for each piece is different, so please take note of that. The reason, is pretty simple actually. This outfit is constructed from my scrap stash, that was created on the fly. We don't waste scraps here, oh no, we hoard them for years until the perfect project comes along haha! The top will feel quite stiff in DK/8ply, but the sizing and fit are good so I didn't change it to something thinner. 15. Ch1, turn, dc in the first stitch, front loop only, hdc in the next 24 stitches, front loop only, dc in the last stitch, front loop only, do not end, dc evenly down the side of the coat, across the bottom and back up the other side, sl st to the ch1 to end. Finish off and weave in all ends. 1. Join your yarn to one of the skipped stitches in the arm hole. ch1, hdc evenly 13 times around the opening, join. 4. Ch2, hdc2tg, hdc in the next 2 stitches, repeat around, hdc in the last stitch, join. 5-10. Ch2, hdc in each stitch around, join. Repeat 1-12 for the second sleeve. If you want to stitch in a pocket and buttons do so. 1 set of press studs or hook and eye closures. 1. Ch29, hdc in the second chain from hook and each across. 2. Ch2, turn, *hdc in the first 3 stitches, 2hdc in the next stitch*, repeat around, join. 3-9. Ch2, hdc around, join. 4. Ch1, sc in each stitch around, join. 5. *Ch3, sk1, sc in the next*, repeat around, join. End off, weave in tails. Attach press studs or hook and eyes for closing. 2: Ch1, turn, sc in each stitch across. 5-9: Ch1, turn, sc across. 14: Ch1, turn, sc in each stitch across. 15: Ch1, turn, sc 6, ch6, skip 3 stitches, sc into the next 9 stitches, ch6, skip 3 stitches, sc in the last 6 stitches. End off and weave in tails - 21. Attach closures/snaps to both the top and bottom to close the top up completely. Morning all and welcome to another Pinspiration post! WOOHOO! Actually, this one is an oldy, that I completely forgot to share last year! 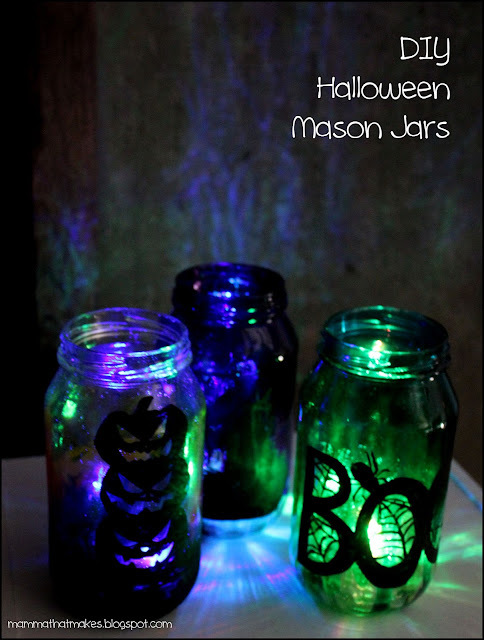 In October last year I was searching for some ideas of fun and easy decorations to add to the shed display for Halloween, something that would help with subtle lighting in there. 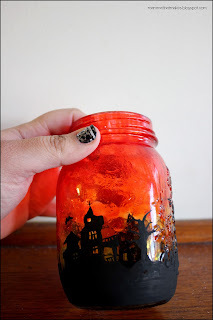 I saw this really awesome post over at Adventure In A Box for some really fun Halloween themed mason jars. Step 1: Cut the images you printed into strips and place them inside the jar, with the image facing the glass so you can see it from the outside. Step 2: Grab a paintbrush, and using black paint, copy the image. You could also use a sharpie if you like, but the one I had didn't have very good coverage and you could easily see through it, making it streaky. Wait for the paint to dry before moving onto the next step. Step 3: This is where the magic begins! Did you know, that you can tint Modge Podge? No? Well, you can! Because it dries clear, the food colouring leaves a stained glass look behind! PERFECT! So, mix some food colouring with the Modge Podge. A little at first. I added more as I went for an ombre effect. 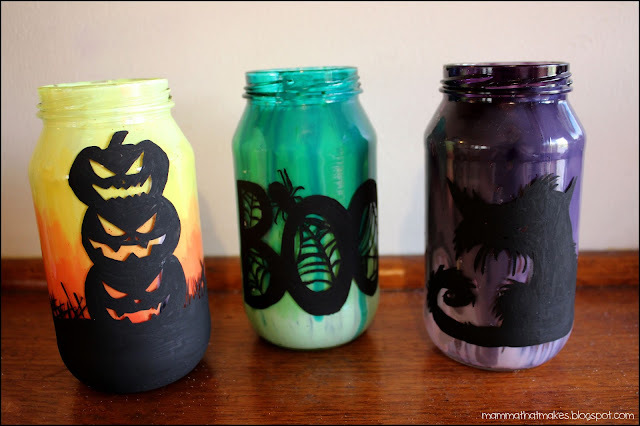 Use a paint brush and paint the inside of the jar with the tinted Modge Podge. I did about a half inch high, then added more drops of colour to the Modge Podge to darken it. Or in some cases added another colour gradually to fade the layers from one colour to the next. Step 4: Let it dry! That's it! That's all there is to it. Now, these won't be waterproof, but I can't see why you couldn't also seal them if you wish. 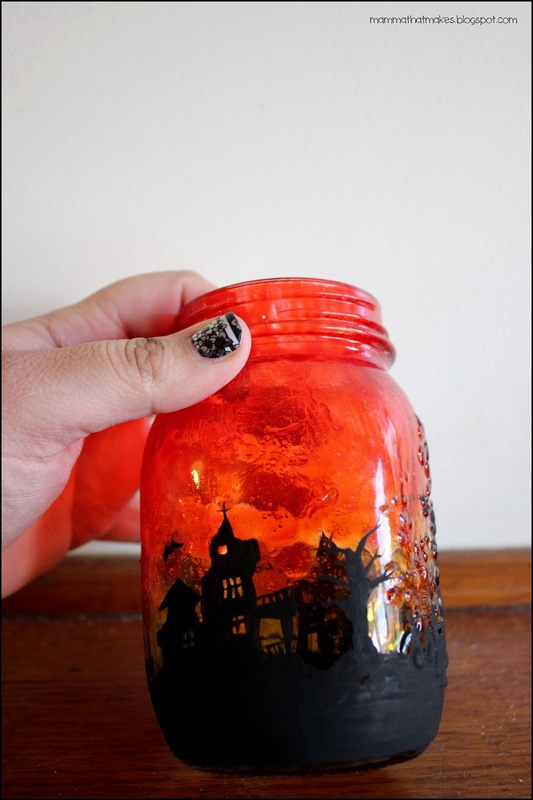 Pop a LED tealight inside for light (not a real flame, you'll catch the Modge Podge on fire) and you have a customised Halloween mason jar! This would work with pretty much any image, so long as you can paint it. I'm going to do some later in the year for Christmas too! Master J loves rocket ships! He loves counting down with me and yelling BLASTOFF! So an outer space set was absolutely needed. I had a blast creating this one, and he has oodles of fun playing with it. That's a win win in my books! 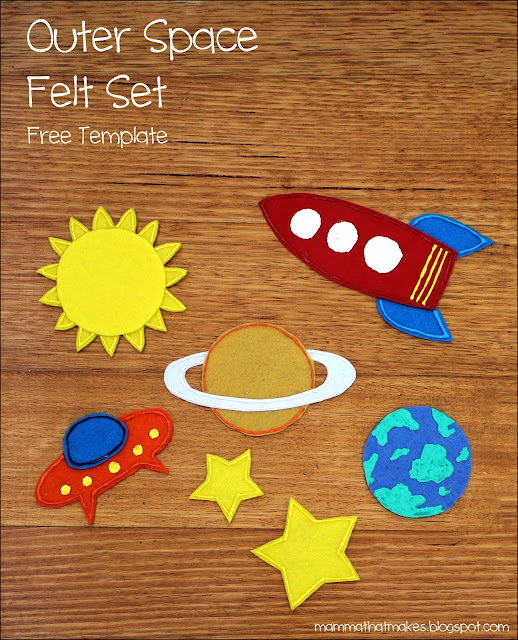 This set is super easy to make, and even easier to customise! 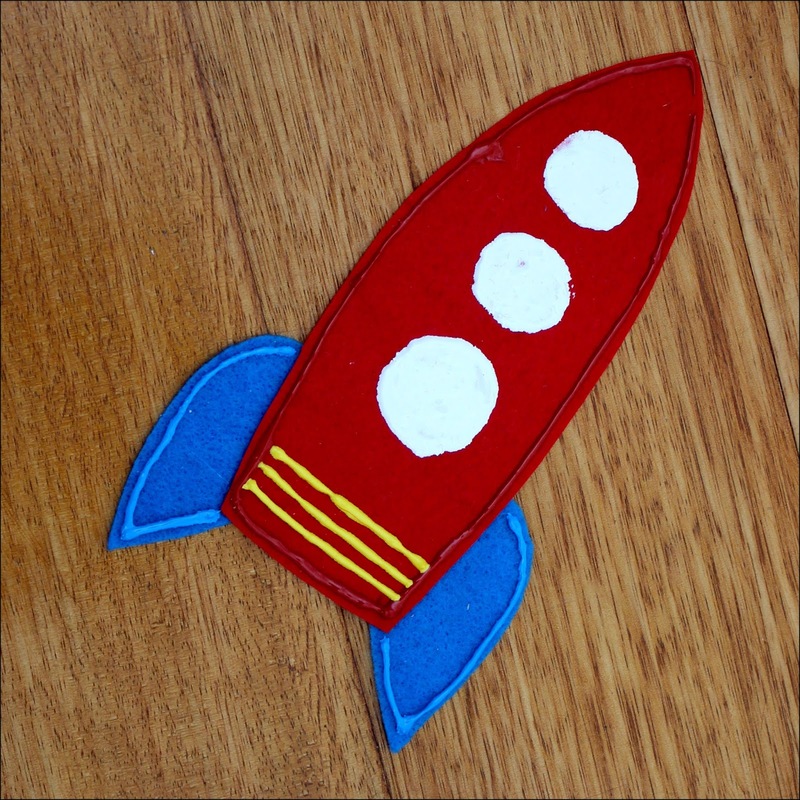 Want a patterned rocket ship? Go for it! Want other coloured planets? Sure! 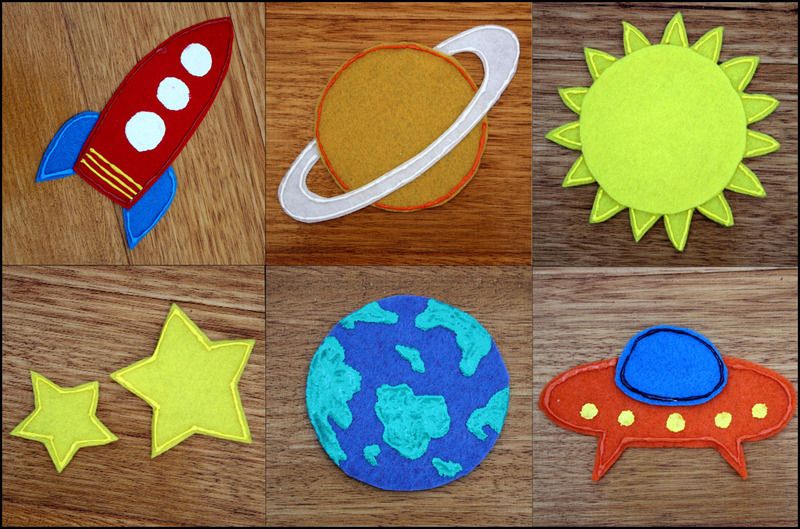 You can put whatever patterns you like on them, to create all sorts of planets or moons! Grab the template here and make your own! 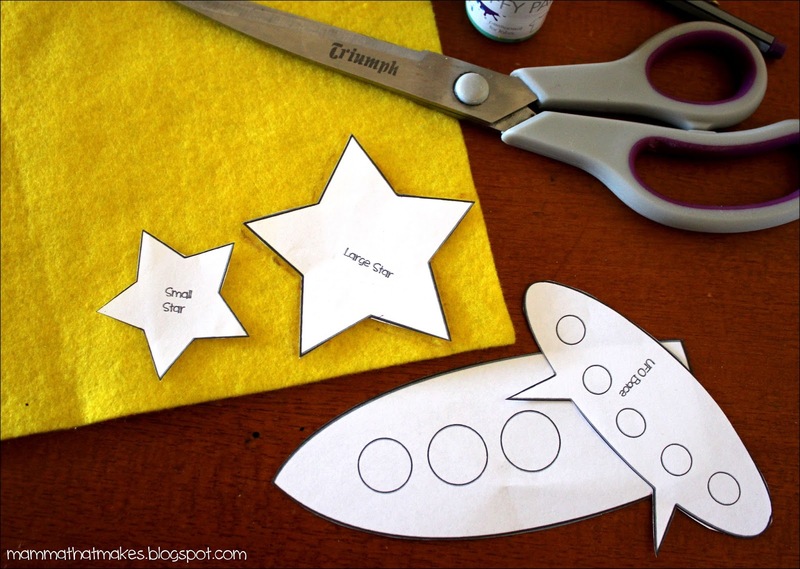 Step 2: Use the templates to cut out your felt shapes. You can trace around them with a pen, or pin them to the felt and cut around them that way. I prefer to trace, then cut. I find it easier to manoeuvre the scissors in the smaller spaces without the paper in the way. Step 3: Glue! Glue the find to the rocket ship, the centre of the sun to the outer piece, the rings to Saturn, and the cab of the ufo spaceship to the body. Wait for them to dry before moving on. Step 4: Decorate! 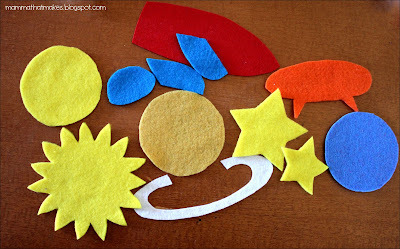 I use puff paint (from Kmart) to edge my felt shapes. I find it makes them POP and gives them more details. You don't need to do this of course, but I like the effect it has. It's also how I added the land masses to the planet, and lights to the spaceships. Wait for it all to dry and then turn it over to your toddler! Happy days! Today's new pattern is for a sweet little pair of loop strap booties. 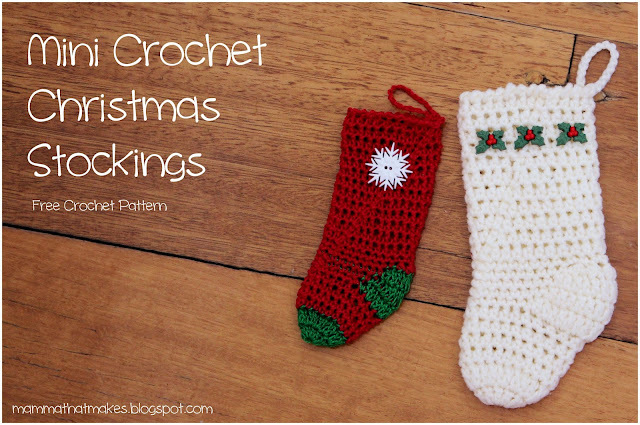 They are very simple to make and use hardly any yarn at all. In fact, you could easily whip up a pair in under an hour, with time to spare! 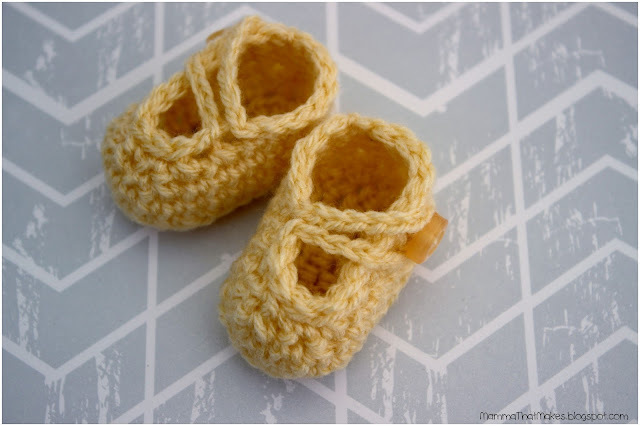 The hardest part about these booties is picking out which buttons to add! 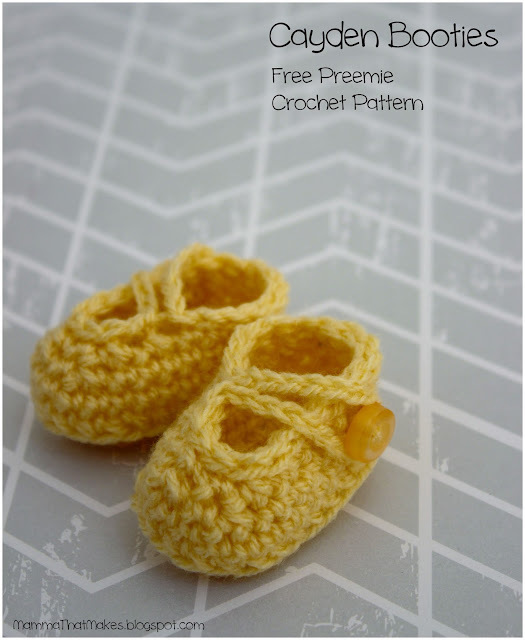 They are also easy to slip onto small delicate feet, and very easy to secure. 7: slst loosely in the first 13 stitches, ch18, skip all 18 chains and slst back into the same stitch, slst in the remaining stitches, join to the first slst. End off, weave in tails. 7: slst loosely in the first 7 stitches, ch 18, skip all 18 chains and slst back into the same stitch, sl st in the remaining stitches, join to the first slst. End off, weave in tails. 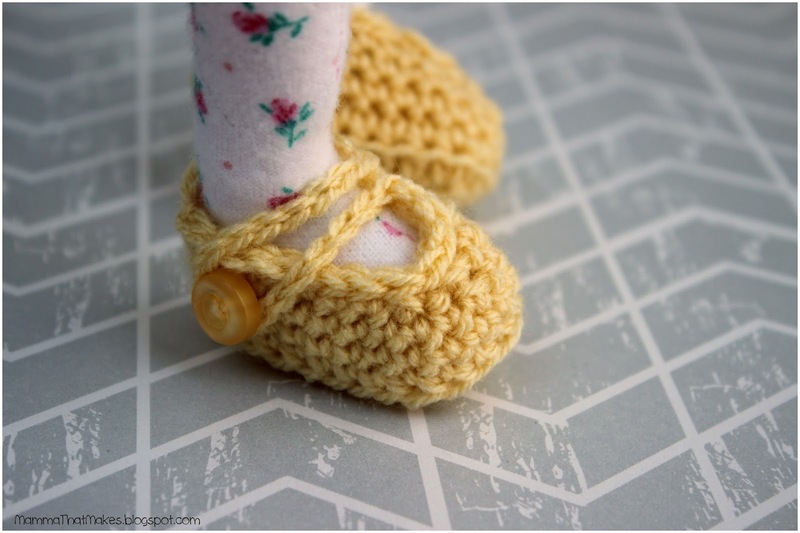 Attach buttons to the side of the booties opposite the strap, and use the loop to slip over the button to secure.